Profile: The DFN-CERT, which was historically the CERT of the German Research Network only, nowadays provides key security services to industry as well. In addition it offers a unique contact point with a long-time established reputation as a trust anchor within Germany to its community, German CERTs and security teams, the governmental sector in federal and state level and certainly also the IT security research community. 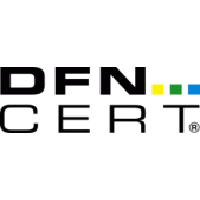 Due to the long term role in helping other CERTs to establish or becoming more mature, the DFN-CERT builds on a trusted network of contacts throughout Europe and beyond. Based in Hamburg, the DFN-CERT is responsible for a constituency of several hundred universities and research institutions throughout Germany. It has a long term relationship in international, European and national fora and groups related to fighting cyber crime and helping the victims of attacks and incidents. Preparing proactive steps through focused research in the IT security field enables the DFN-CERT to promote best practices. This is done both in writing as well as in educational courses. The service portfolio also includes a software based threat management. The DFN-CERT provides managed services in terms of DDoS detection/mitigation, incident management, vulnerability management as well as early warning to key players in Government and industry. Being confronted with new attacks and vulnerabilities on an everyday basis means that the DFN-CERT has for its own purposes the need to be part of research activities. Such activities have involved the DFN-CERT on European (EU FP5, FP6 and FP7) and national levels including but not limited to the development of technologies (sensors, honeypots, attack correlation and aggregation, user portals to alert responsible staff, dashboards), the establishment of expert fora to exchange data and tools as well as researching new kind of attacks or threats. On a software and research basis the DFN-CERT will bring close to 20 years of experience in the fields of incident data handling and distribution (nationally and internationally), data and meta data aggregation in the IT-Security field and early warning methods and systems. Expertise and Role in CONCORDIA: DFN will be primarely focused on providing expertise on hoe to certify CONCORDIA solutions and results. DFN will also contribute to incident handling and data, metadata aggregation.